Never a cookie-cutter approach, OVATION will respond to your specific needs and leverage industry expertise and resources to build one-of-a-kind engagement. Whether you need one specialized service or a combination of offerings, OVATION will deliver successful, results-oriented options through strategic planning, creative engineering, expert manufacturing and state-of-the-art technology. OVATION’s commitment to innovation and consumer behavior ignites new ideas and new products every day. Constantly thinking of new solutions, OVATION helps our global clients seamlessly integrate into the retail space and engage with customers. Whether it is reducing typical install time, setting new merchandising standards or encouraging product trial, we are always a step ahead so our clients can be first-to-market and hold a competitive edge in the marketplace. Our proprietary systems successfully engage consumers, facilitate the sales cycle for store associates and streamline the entire retail marketing process. Custom sensor activated fragrance dispenser for sampling. 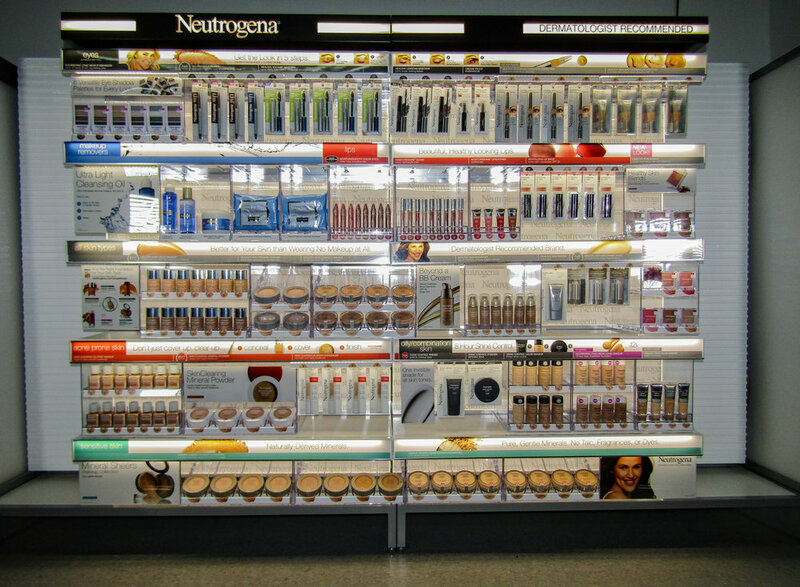 The original creators of the first universal backwall for cosmetic merchandising. Immersive interactive "Barbie" experience at retail using Kinect cameras and custom software/hardware application.